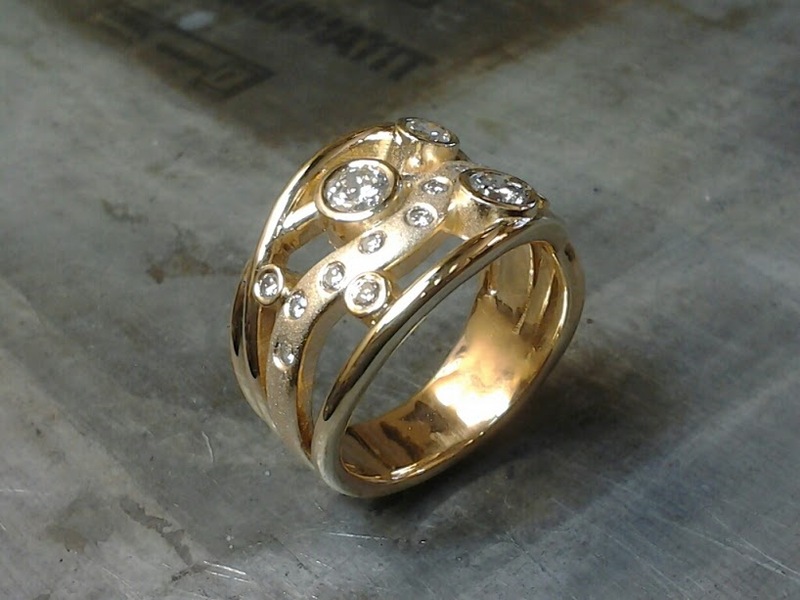 Work with Goldsmith Sean Ferguson to Design and create amazing Custom Engagement rings and custom jewellery. We cut out the middleman. Because our creations are made in-house we can offer a faster turn around. 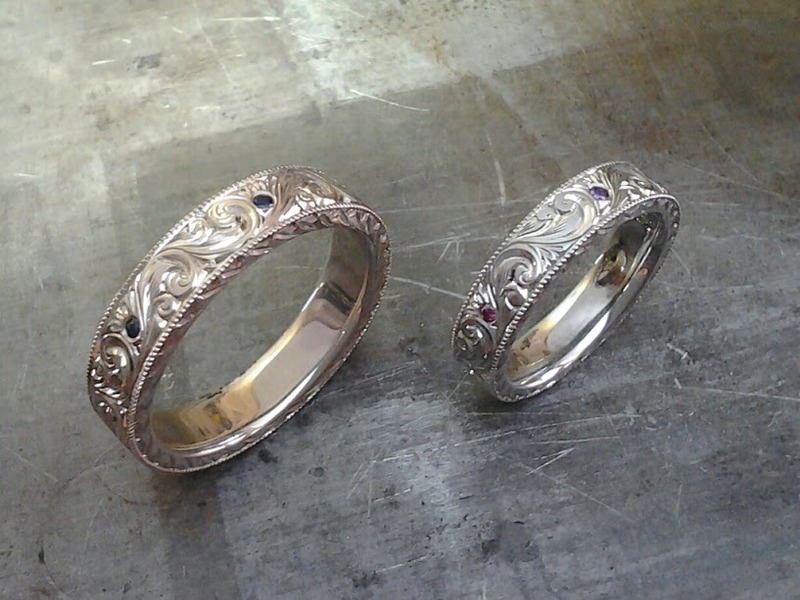 Sean has over 30 years of experience working with precious metal and gems. We'll sit down and get to know you. 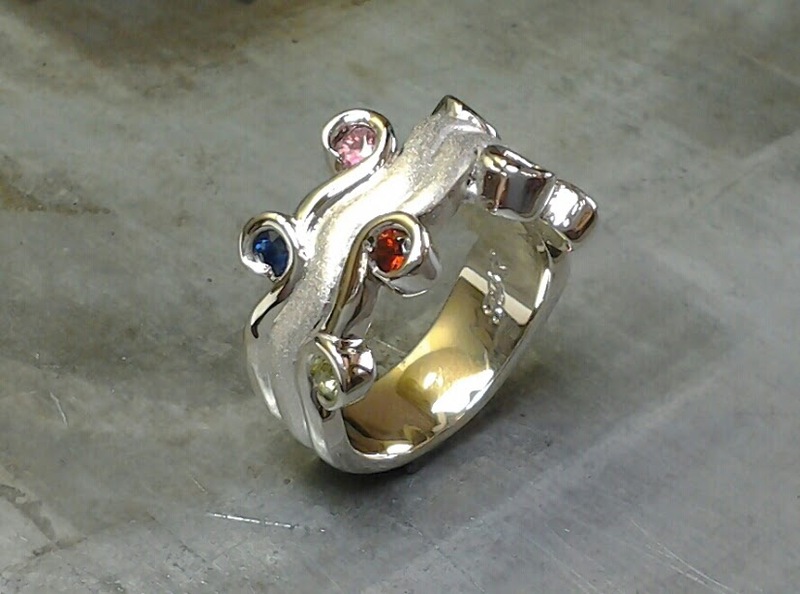 You can tell us the goals for your custom rings or jewellery. Then we develop some rough design sketches for you to consider. The concept has now been developed. 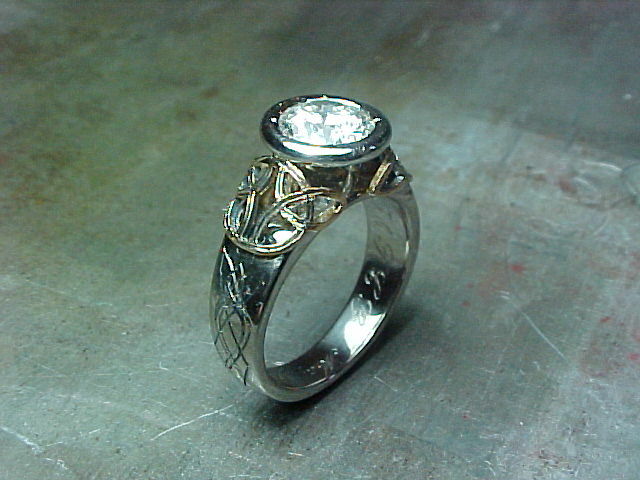 Then we provide either a more detailed sketch or 3D rendering of your ring. This is then used to create a one-of-a-kind mold. These are either hand carved or computer rendered. Now comes the good part! 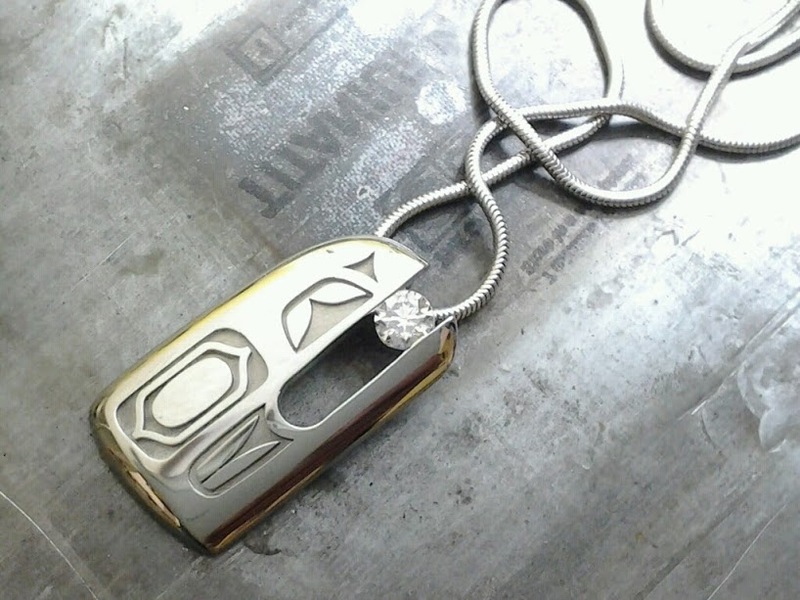 Combined traditional techniques and cutting-edge technology will help craft your perfect custom piece of jewelry. We'll always use handcrafting and calibration techniques to make edges precise and strong. Ensuring a beautiful and durable piece that lasts is our goal. Let us be your personal Goldsmiths! 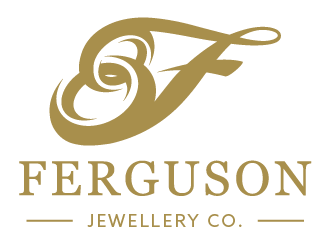 At Ferguson Jewellery & Diamonds you deal directly with the designer and goldsmith. We offer unparalleled Custom Engagement ring designs. 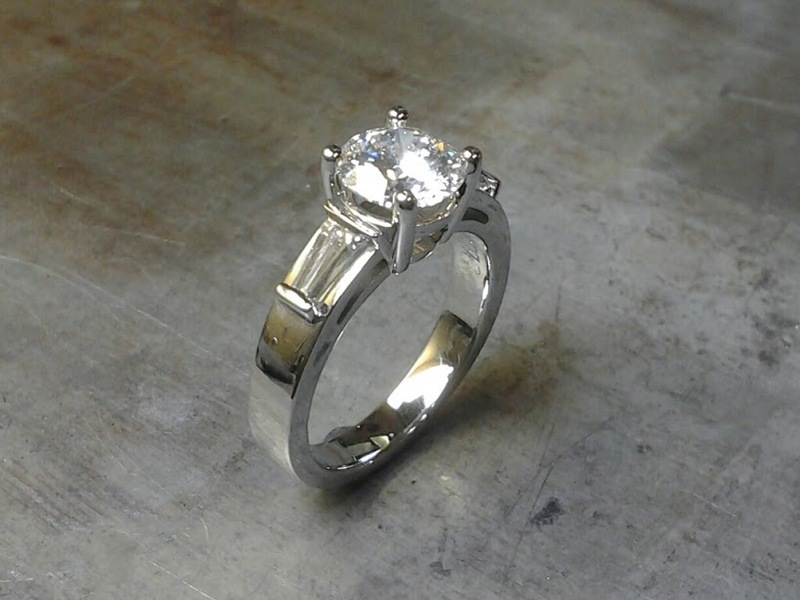 Our main focus is working with clients to create fantastic Custom Engagement rings or amazing custom wedding bands. The perfect Engagement Ring is not likely to be found in a cookie-cutter retail store. 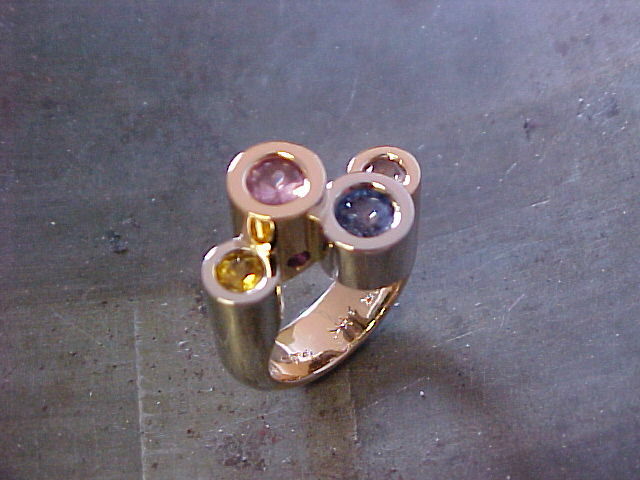 It will be hand designed and crafted by an expert goldsmith. Our goal is to create pieces almost as special as the one you love. These jewellery pieces will evoke feelings unique to the two of you. They will capture the essence of your relationship. In any piece of jewellery personality is especially relevant! - We sell certified Canadian Diamonds and other brands. - We will work with our clients' Diamonds too! - We Redo and remake your Old Wedding sets too. - Redo Rhodium Protective Plating. - On The Spot Same Day Ring Resizing Availlable. - We'll also buy your old gold and take it off the total cost!!! - We even refurbish your old Rolex and other high end watches. 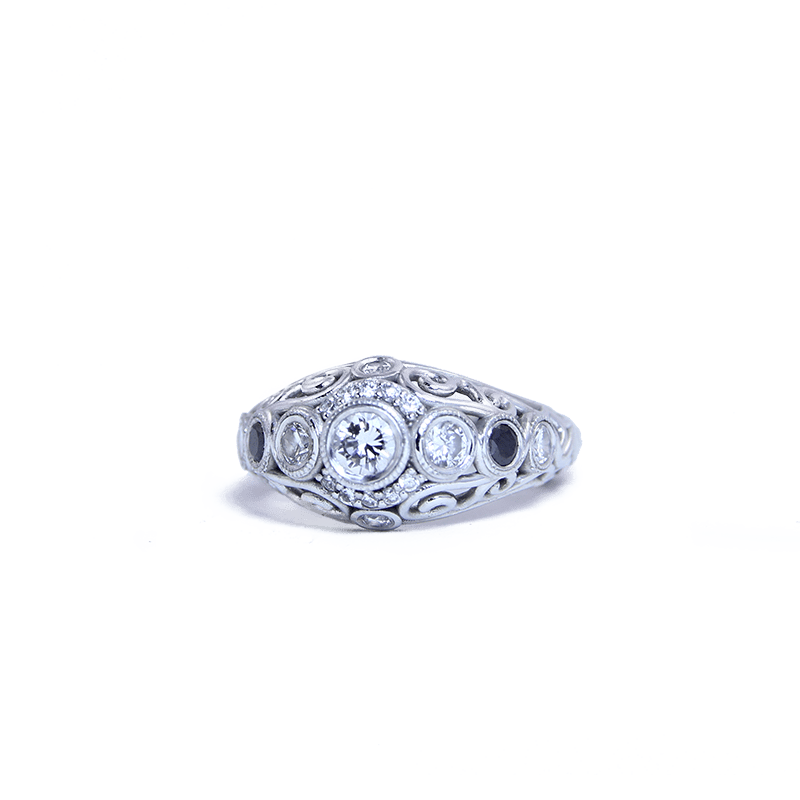 Feel the excitement from commissioning a timeless piece of jewelry for your loved one. You could also choose to design it together in confidence. It's incredible to work with so many happy people just starting their married lives. We really feed off and are completely inspired by that energy. Check out the galleries below for some of our previous designs. 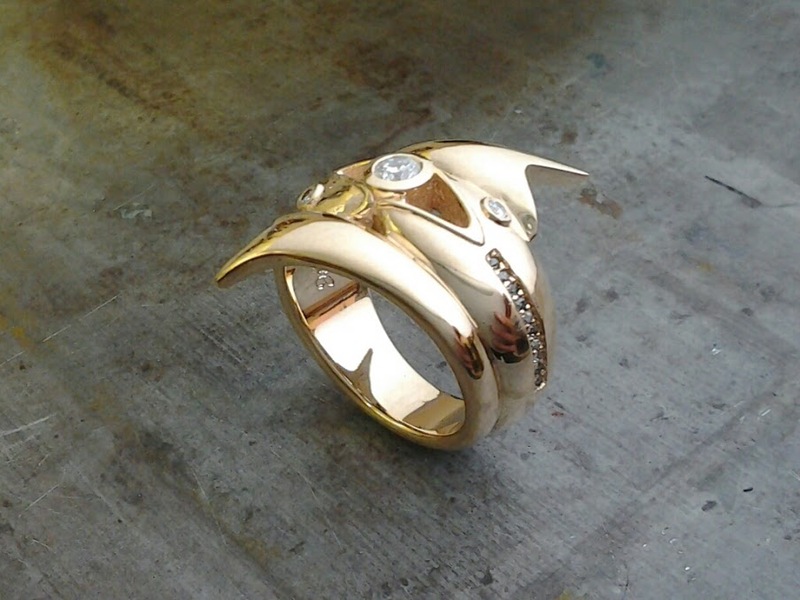 You can begin the process of designing or re-designing your perfect piece of jewelry today. Call now!